Shipping costs form one of the most substantial expenses for businesses, especially the SMEs. If you’re selling physical products, shipping costs are unavoidable. They have the power to impact your customer satisfaction levels explicitly along with deciding the profit margins for your business. A recent study states that nearly 28% of the shoppers abandon carts because of unexpected shipping costs. Undoubtedly, this number turns out to be a significant loss for companies concerning conversions and revenue, which is why they keep customers engaged with enticing shipping offers such as free shipping. As benevolent as it sounds for the customers, it is equally an exigent task for the businesses,which is why their shipping expenses are often increased. For this reason, more and more entrepreneurs are concocting their strategies with ways to reduce their shipping costs by adopting smart practices and solutions. Achieving an overall success in reducing shipping cost, is something you can’t attain overnight. It needs consistent forethought and groundwork., right from the factors based on which shipping costs must be calculated. Shipping costs can rapidly vary based on how quickly the items need to be delivered. Urgent items have urgent pickups and thus require active monitoring on their status. 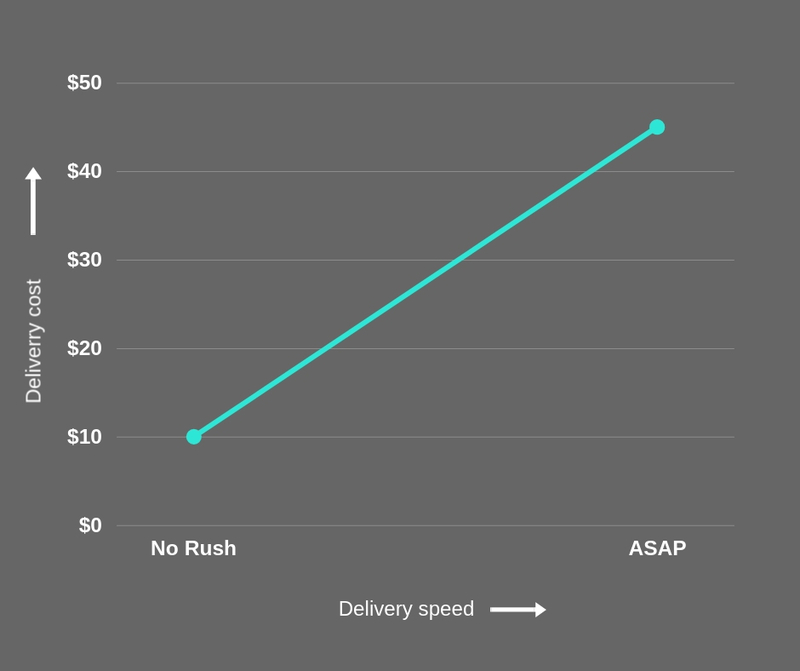 As a result, the shipping cost turn out to be directly proportional to the delivery time. The graph in the image below demonstrates this relationship. For this reason, overnight shipping costs a higher percentage of efforts as well as expenses. Companies offer preferences to their customers concerning new shipping, standard or delayed shipping so that they can prioritize product deliveries and manage their shipping costs effectively. Consider Amazon.in’s shipping preferences for the customer. A major chunk of shipping costs for a business are decided on the basis of the location of the warehouse along with the delivery region. This is a strong consideration especially for businesses who own an inventory and are in charge of the entire shipping process. Again, in this case, the shipping costs are directly proportional to the distance of the warehousing and delivery area of the products. You can see a lot of companies accommodating shipping costs in this case by displaying a shipping calculator for the customers at the checkout page. A shipping calculator shows the amount of shipping fee being charged based on the area of delivery. A primary criterion that determines the shipping charges for your company is the weight of your package. Talking about the importance, when calculating shipping costs, the weight refers to the synergic effect of the packaging and the original weight of the product. While bulkier packaging leads to increased shipping costs, efficient and utility-based packaging can help in reducing the costs to a greater extent. Most of the shipping service providers offer shipping rates based on the weight and dimensions of the package, which is why companies are taking measures to pack their products as per utility and not unnecessarily adding paddings, sturdy packages etc., ultimately adding up to secondary and tertiary packaging. Just like the weight, dimensions of the product are another rudiment in determining the shipping costs. As hefty as you package your product, more will be your shipping costs. “Truly, the issue is not how much something weighs, but how much space it takes up,” says FedEx’s Asmus. Sometimes you may observe special handling charges and associated fee in your shipping expenses.These are a few unavoidable costs that are attributed to the nature of shipping that you’re opting for your products. You may have dealt with a couple of these special charges already for your business. Pick-up charges: These involve cost of collection from the shipper’s warehouse. Freight forward charges: These charges are imposed when you’re freight shipping and may include air surcharge, fuel surcharge etc. No matter how reliable courier service you’re using, things might turn awry any time. For this reason, businesses purchase insurance of their products so that process any claims against chargebacks, lost orders and refunds etc for their products. But understanding exactly the type of insurance that your products needs, helps in cutting down the shipping costs to a great extent. These factors must be analysed before paying insurance bills for your products. Payment of freight and associated costs etc. Here are the golden rules of shipping. If it’s fast and trackable, it won’t be cheap. If it’s fast and cheap, it won’t be trackable. If it’s cheap and trackable, it won’t be fast. Every feature that you require in shipping, has a cost associated with it. You may have to use different courier services for catering to different customer needs, but most importantly assimilating the requirements of your customer decides the basis of your shipping strategy. If you’re shipping internationally, an affordable option would be to ship through postal carriers such as USPS. But one of the disadvantages of saving cost on shipping in this case is that there is no tracking available once your courier reaches the local post office of the destination country. International shipping has some inevitable expenses that play a huge role in determining your shipping costs. However, shipping tariffs are not always a downfall for your costs. Many countries have policies offering duty relief for customers. For example, the North American Free Trade Agreement (NAFTA), that exists in Canada helps importers save a lot of money. In yet another case, duty drawbacks are smart ways of saving money on customs. Duty drawbacks help in recovering the money on products that are imported and exported once again. Did you know? 60 percent of the customers abandon carts because they find additional costs such as shipping charges etc. too high. Out of these nearly 20-60% cart abandonment can be stopped by educating the customer appropriately and shortening the checkout process. When trying to reduce shipping costs for your business, it is best advised to educate your customers about them. A recent market research states that only 22% of the merchants feature information about their shipping policy on their homepage. When charging shipping costs, explicitly tell the customers about it. It’s not a game of poker, where you hide your cards and dumbfound at the last moment. Just tell them how it is. Period. 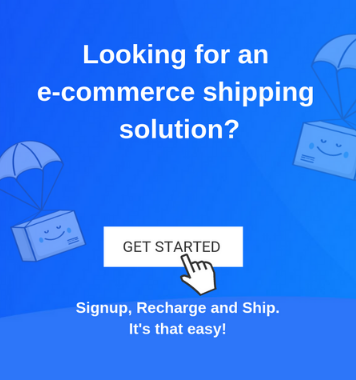 Since 28% of the cart abandonment occur due to shipping costs, informing them in prior about what and why you’re charging them, can help you save some customers down the checkout funnel and reduce the burden of your shipping costs. Talking about factorizing your shipping costs, it is one of those unique practices where you increase the understanding of the customer towards costs and your brand as well. Your carrier might have multiple costs such as fuel surcharge, special charges, weekend delivery fee etc. To begin with, factorise your shipping costs in such charges for the customer’s order. This way, the customer understands their options and can make decisions based on the information that you provide. 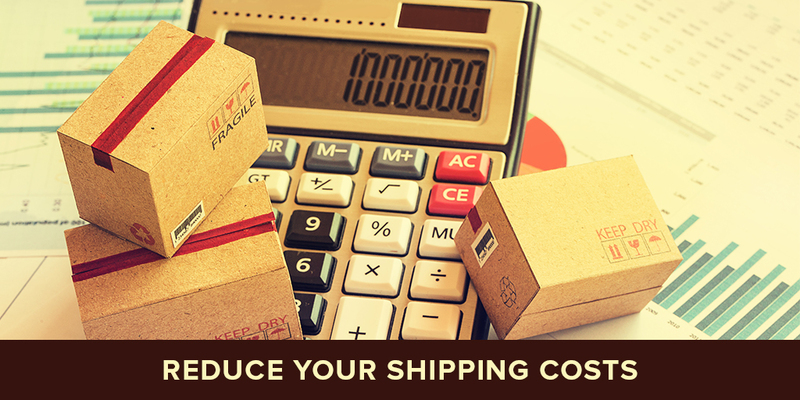 Shipping calculator is an yet another way of shifting the shipping costs on your customer, without losing them at once. More and more companies are incorporating shipping calculators for their business, which is providing transparency and clarity to the customer about the relevant shipping costs for their delivery area. Shipping calculators are also effective in cases where your delivery costs vary a lot based on the delivery area or the location of your warehouse. Tip: Along with the shipping calculator you can also provide information on the comparison on carriers who are partnered with you and offering different delivery charges for the customer’s location. If you own a physical store, there can be no better way to save costs than creating pick-up points for the customer’s orders. The products available in the store, ordered by the customer can be fulfilled immediately, without having to ship anywhere. Even if you’re shipping the product from your warehouse, you can reduce the number of roundtrips, by shipping the majority of products together to your pick- up point. Take a look at the example below. It has clarity and smart ways to reduce shipping costs through pick-ups from its local store. Don’t own a physical store? Another way to schedule pick-up point deliveries is to partner with another store and ship your products there. For example, if you’re selling gift articles, you can partner with a stationery store and ship your products there. An effective way to reduce your shipping costs would be to initiate negotiation with the fulfillment center. Some companies prefer sticking to the same vendor for all the their delivery requirements. While this is good option, it is also wise to compare other options and make decisions based on them. Tip: The best idea is to consider the overall cost of shipping for your business that also includes a worst case scenario, so that you plan accordingly and make decisions to optimize your costs, maximize profits and reduces shipping duration. Try speaking to a sales rep of your existing fulfillment centre to know about any discounts and offers for your business. These discounts can be based on your shipping volume. The next thing would come down to optimizing your packaging to reduce your shipping costs. We’ll talk about it in the next section. Your fulfillment center will be willing to do everything to keep you as your customer and offer you better experience. But for this, you may also need to have a track record with them. For example, if you’re shipping with FedEx for an year, you can look for opportunities based on the orders you’ve had with them. A few fulfillment centers also offer discounts based on memberships. You can avail these discounts and switch to a membership plan based on your requirements. For example, if you’re shipping more than 50 orders a month, you can apply for the respective membership to further reduce your shipping costs with the fulfillment centers. If negotiating with your carrier doesn’t work out, you can try switching to another fulfillment center. But it entirely depends upon the type of orders that you’re shipping. If you’re shipping shipments less than 2kg, FedEx or DHL can be a great option as they have reduced price slabs for the given weights. Tip: carriers generally lower costs on the principle that the more you ship, the lower will be your cost. Apart from it, choosing regional carriers can be profitable for shipping to products. In yet another case, you can approach a third party aggregator such as ShipRocket that will understand your needs and offer the best courier options based on your priority. 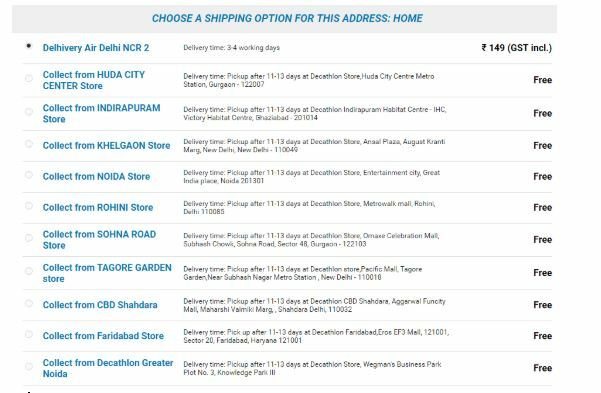 ShipRocket’s courier recommendation engine offers a comparative analysis of appropriate courier partner for your shipment based on the pickup and delivery locations of your order. Third party services can be an excellent way to reduce shipping costs for your business. These can start from your shipping options to buying insurance for your shipments. Third party services can not only reduce your costs but also give you time to focus on other business critical elements. Put differently, it can give you the time to implement best practices to maximize customer satisfaction. 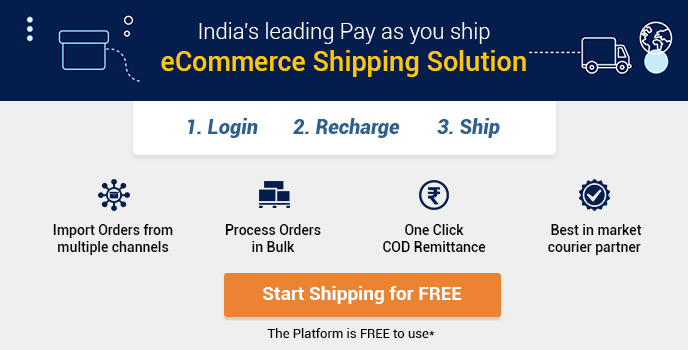 Shipping aggregators partner with courier companies and facilitate cheaper rates on orders. They require signing up to their platform, where you can also integrate your marketplace, so that shipping your products becomes easier. Popular shipping aggregators such as ShipRocket offer enticing plans that help you reducing your costs to a maximum. Here, you can also choose your courier priorities, and track your shipments with a click. When shipping internationally, postal shipping is a wise option, especially when you want to reduce your costs. Postal shipping works in a way that your products are shipped to the local post office of the destination, from where it is delivered to the customer. However, one of the disadvantages of postal shipping is its tracking. The journey of the shipment from the destination post office to the customer’s shipment cannot be tracked. But, when you’re focusing on costs, postal shipping can be the best for international shipping. In India, you can ship your products as parcels through India post. A few shipping providers also cut down costs when your shipments are prepaid. Prepaid shipping refers to buying a quantity of labels upfront and affixing them to packages instead of doing it on a per item shipping basis. Carriers such as FedEx offer discounts on prepaid shipping. Tip: Prepaid shipping works the best for your businesses when you’re sending the same weight packages again and again and the shipping costs have been determined in advance. If you’re purchasing insurance for your products, it is best to explore options from third party insurance providers. They offer much reduced cost plans for your business. Some third party insurance companies offer insurance at 50% less amount than regular carriers.These savings ultimately add up to your business. Packaging plays one of the significant roles in determining your shipping costs. Unless you’re focusing on experience based packaging of your products, you can cut down on shipping costs by adopting smart practices. Time to shed away those hefty packaging materials! Using the packaging practices by the carrier can help you save a major chunk of your shipping costs. When you’re using your packaging, you have to be extremely careful as you are charged based on your weight and dimensions. This is also called as DIM pricing or Dimensional Weight pricing. So, if you exceed your dimensions, you’ll be charged for it by your carrier. Using the packaging by your carrier reduces the risk of this additional DIM pricing and saves your shipping costs. Packages by the carriers are usually tailored to your specific requirements. Utility based packaging focuses on minimizing your packaging costs by reducing the packaging to a minimum. These are simple in nature for shipping and ensure that your product is delivered safely to the destination. It is highly affordable, and can be adopted by everyone when starting their own business. But if you’re planning to build your brand, just utility based packaging ain’t going to help your company. Tip: to save costs on building your brand through packaging, you can add a sticker of your company’s logo on utility packaged products. Use the smallest box to fit your product. Don’t overfill the packaging materials. Consider shipping in mailboxes or light weight packages such as Tyvek bags. Keep a close eye on the discounts on packaging materials, if you’re planning to package the products yourself. Look for discounted suppliers in your area and bulk purchase your products. 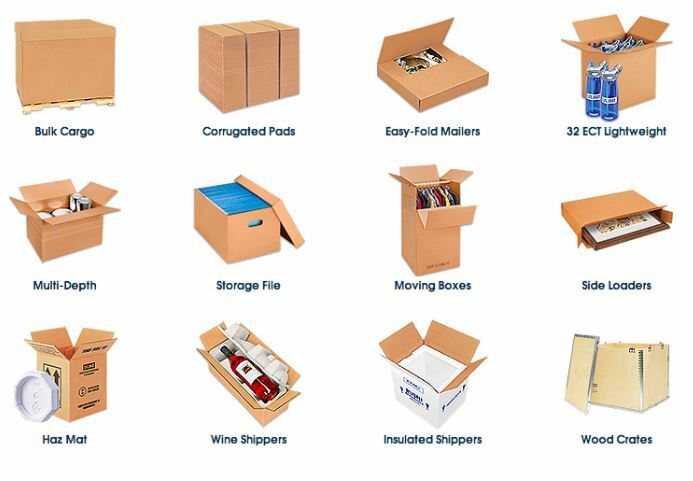 These suppliers also have affordable packaging solutions and also offer efficient packaging advice concerning your products. Reusing your packaging materials can be a smart way of saving your shipping costs. If you’re getting return orders or products in the mail, you can reuse packaging such as bubble wraps, shreds etc. to reduce costs. Recycling and reusing will not just cut down your shipping costs but also reduce your garbage expenses. Flat rate shipping considered as one of the best practice in the shipping industry. Flat rate shipping might not directly help you in cutting down shipping costs, but it has great value. A flat rate shipping plan for your company would mean a standard shipping charge no matter how big or small the customer’s order is. This practice can lure customers into buying more products. How this helps in reducing shipping costs? Apart from generating more orders for your store, flat rate shipping can increase your businesses’ average order size and at the same time make customers feel better about their orders. Tip: You can test flat rate shipping for your brand by initiating it for a particular area where you ship your orders most frequently. As an online seller, it is extremely important to stay competitive in the market. Furthermore, as important as it is to increase your profit margins, it is equally important to offer a surpassed level of customer experience. Shipping is one areas of business that can be tricky to conquer. You must optimize the process so that you reduce the costs involved in your business and on the other hand pay attention to the requirements of the customer. The best advice would be to study your customer personas and plan your strategy around it. Furthermore, as your company grows you will be investing more in shipping. But with smart practices and efficient planning, these can be minimized for your business.